Gerry Lake is located right at the little yellow sign marking the 40km, on South Bay Road, 10km south of camp. 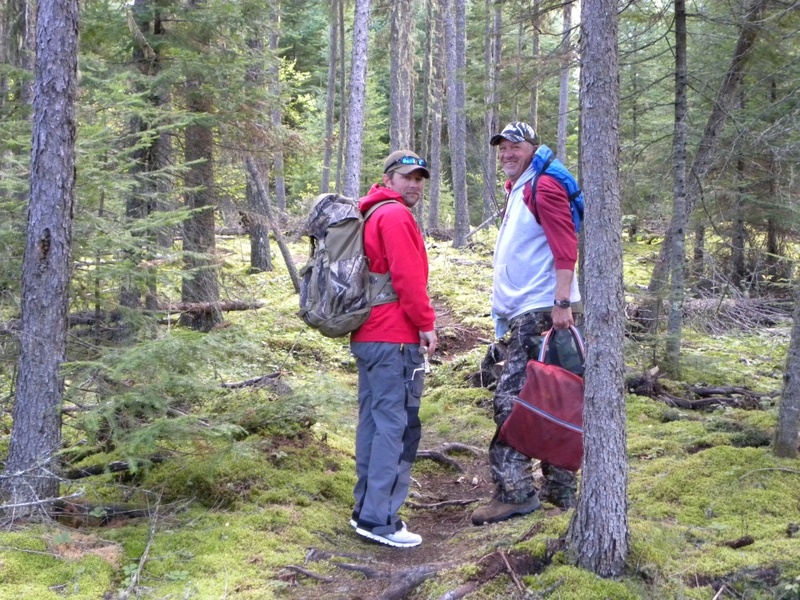 There is a great parking spot for your vehicle and then a very short hike through the forest puts you at the lake. 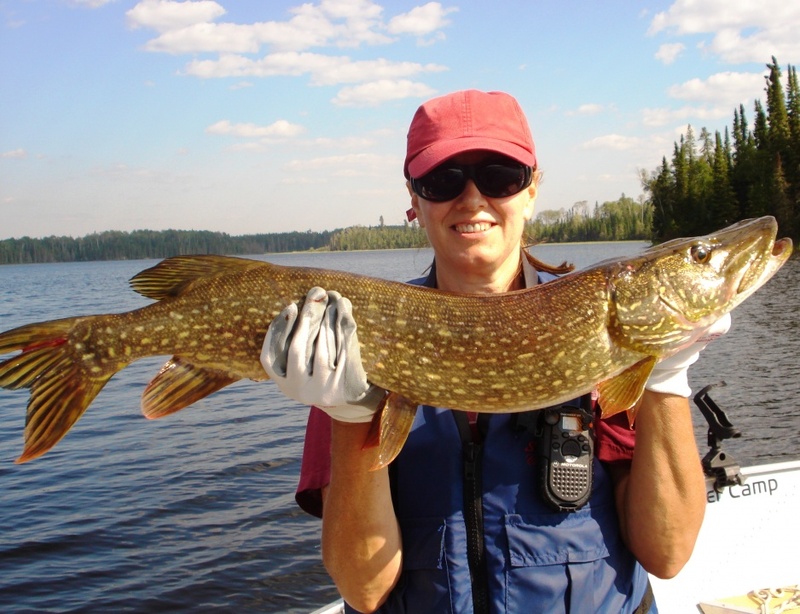 The lake is roughly 2.2km long and 1.2 wide shaped somewhat in a T. It has some nice deep water 30+ ft. at the north end and lots of good structure with a few islands. I am impressed with the number of trophy class Northern Pike we catch and release in this little lake. 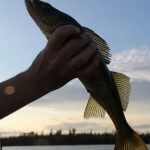 Guests tell us the Walleye are tremendous fighters. 15-17 inch fish put up a fight like 20-21 inch fish. We say the fish have broad shoulders! 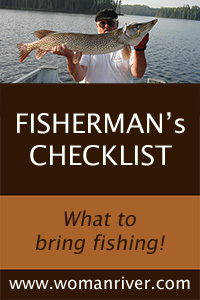 Due to the darker water, the fish can be astonishingly shallow. 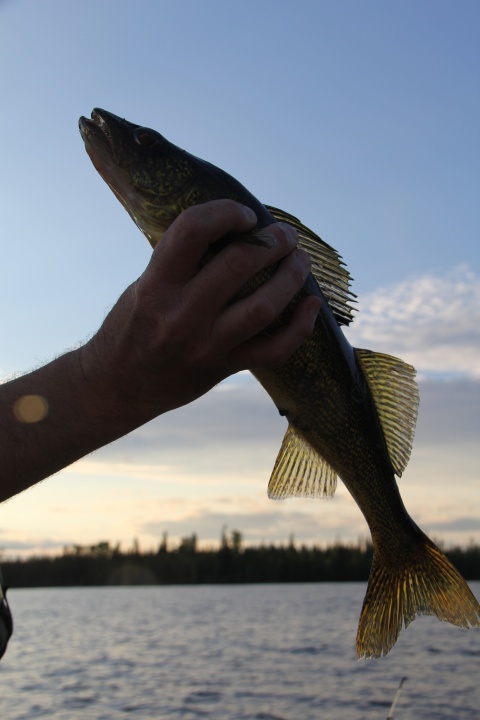 Spinners and jigs work well for Walleye fishing. 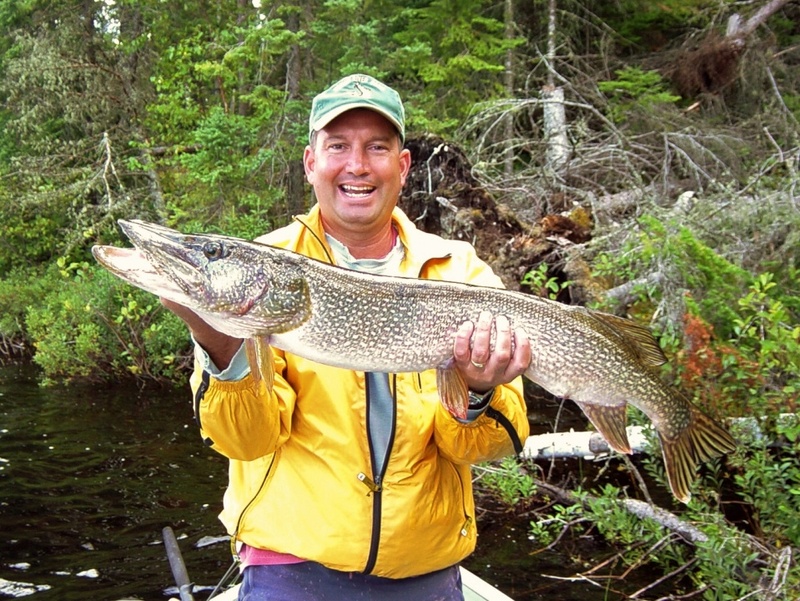 Casting or trolling crankbaits and buzz baits works well for Northern Pike. 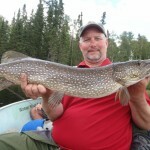 There are a couple of nice spots on the lake to get out and stretch your legs and have a bite to eat. 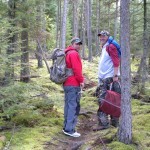 The portage is so short, it isn’t always necessary to downsize gear as two trips won’t take long. 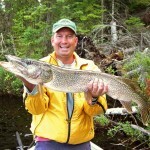 The 16ft boat on the lake is very nice for fishing up to 3 anglers for casting or trolling. 4 anglers in a pinch for jig fishermen. Woman River Camp has the only boat cache on the lake. 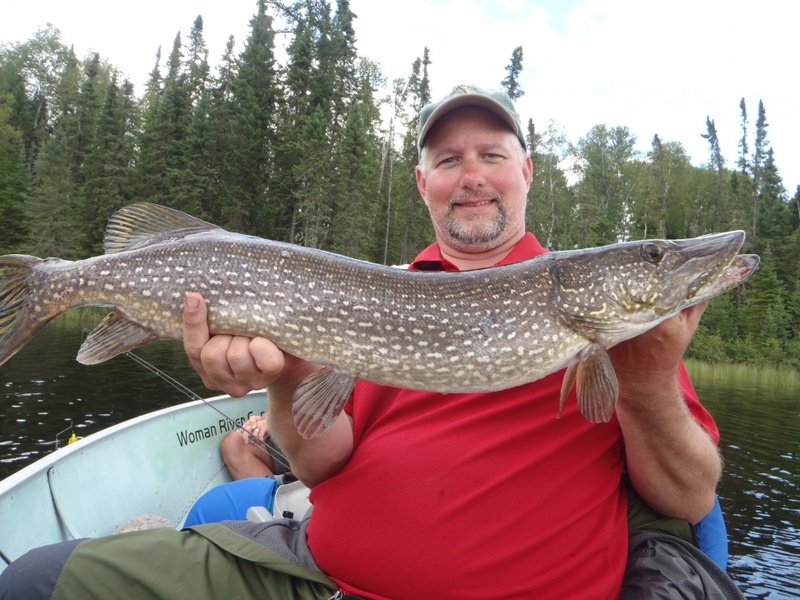 Gerry Lake is catch and release fishing for all fish.